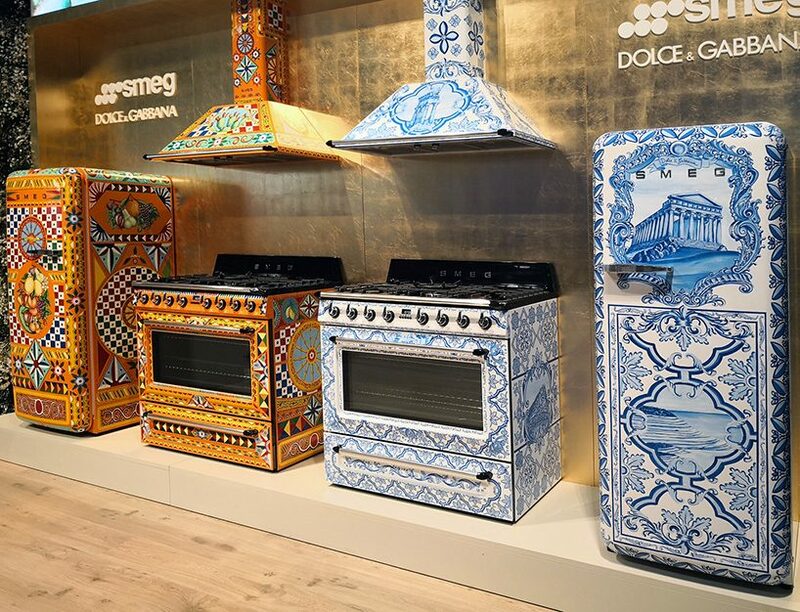 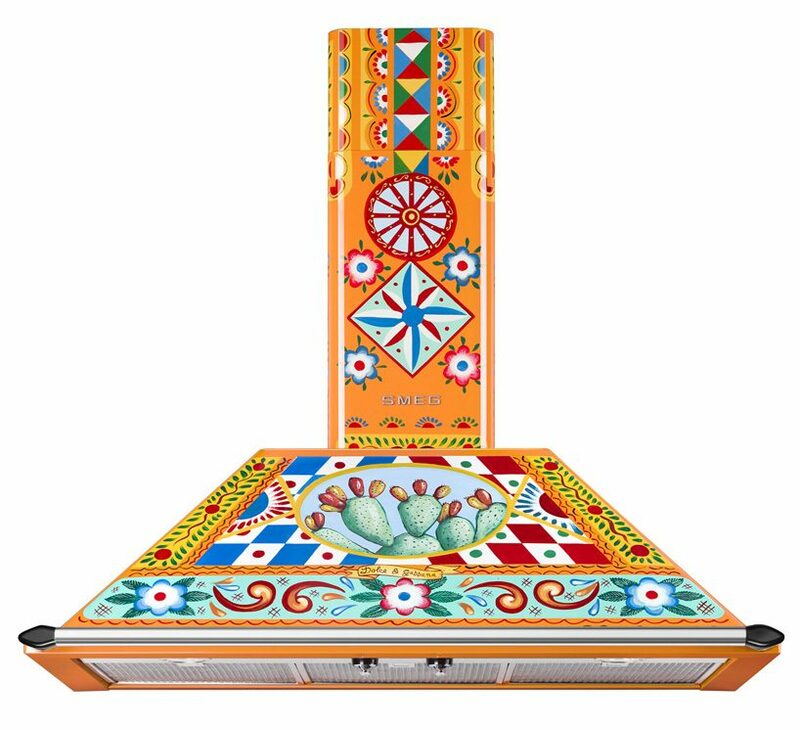 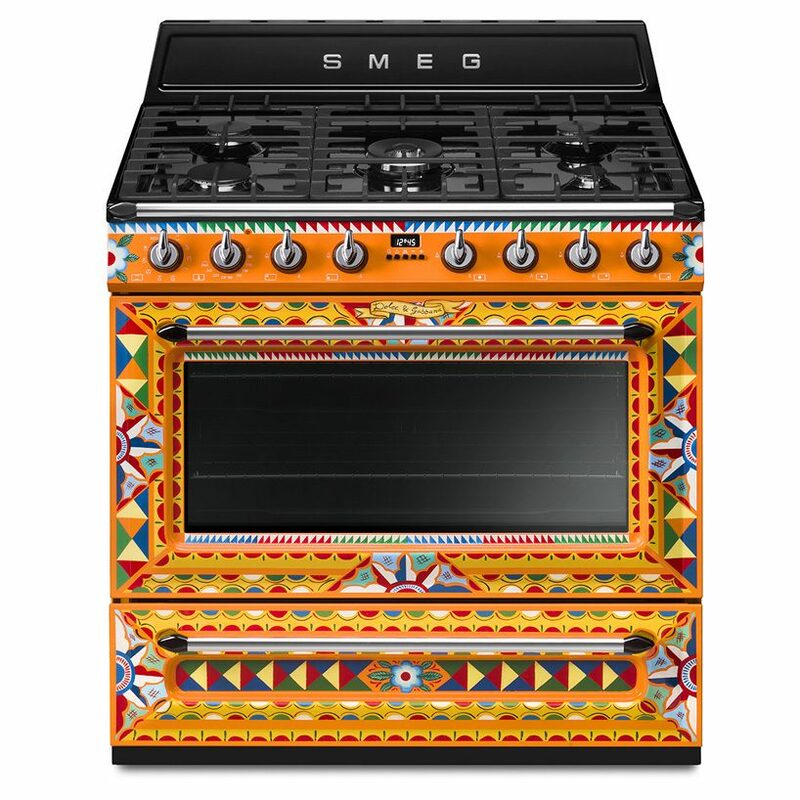 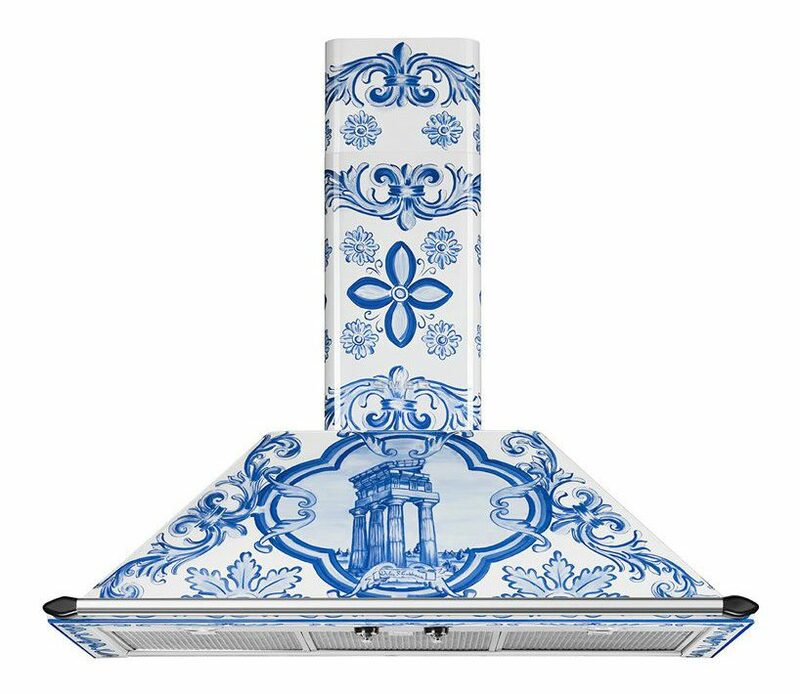 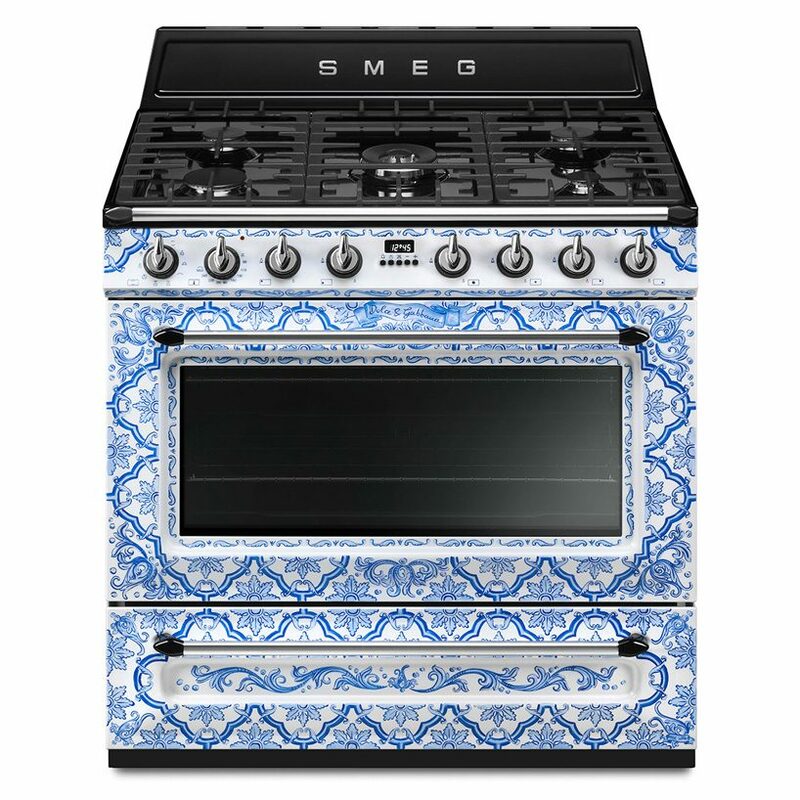 dolce & gabbana and smeg join creative forces again on the third installment of their ‘divina cucina’ collection, a range of pattern-heavy pieces inspired by the region. 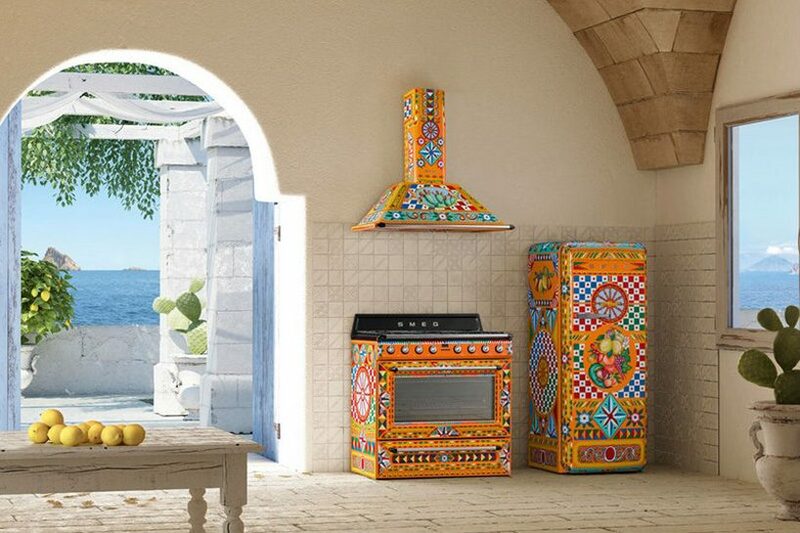 presented during milan design week, a victoria range cooker, extractor hood and a FAB28 fridge, share similar styled prints to previous pieces, offered as part of the bright and colourful collection. 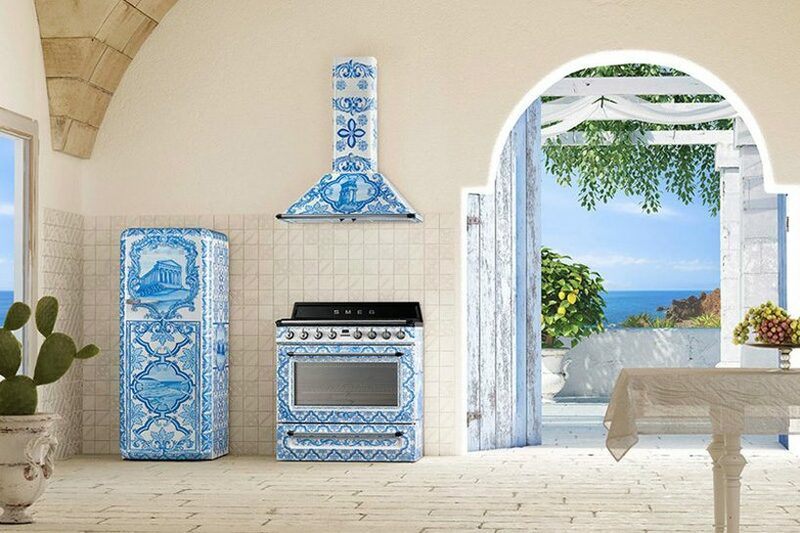 the items feature traditional motifs included in a bold red and orange pattern, and a blue-and-white iteration inspired by maiolica ceramic pottery. 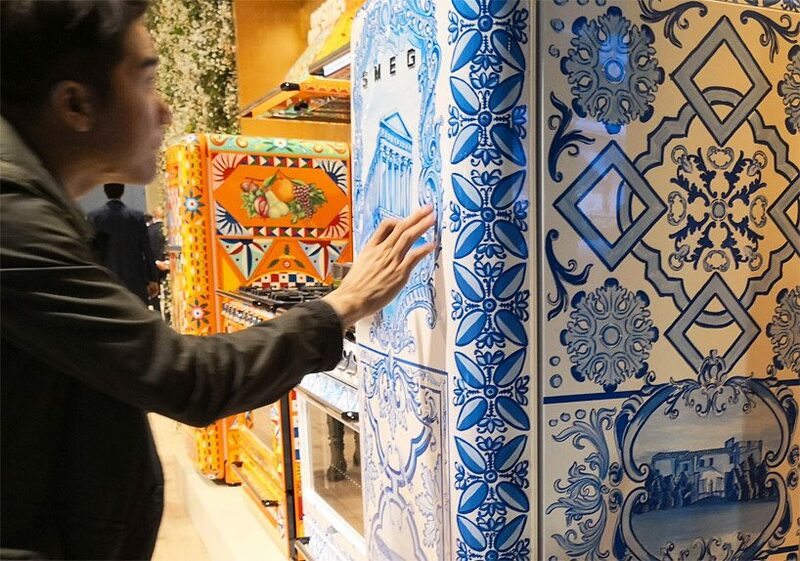 the pieces are expected to be available later this year. 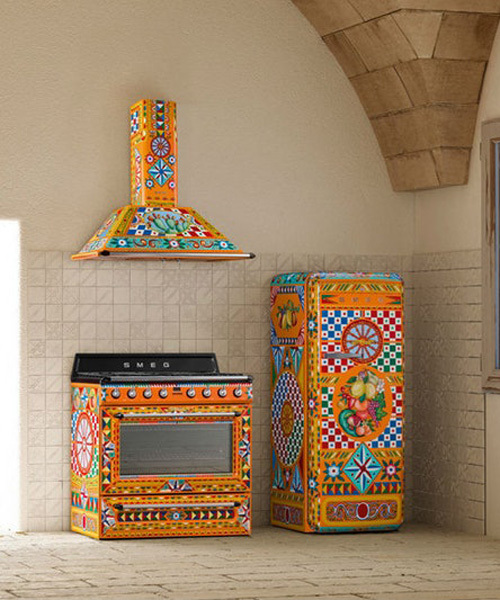 ‘sicily is my love’ in 2016 marked the first installment of the ‘made in italy’ project, inspired by domenico dolce and stefano gabbana’s heritage, focusing on sicilian patterns and designs. 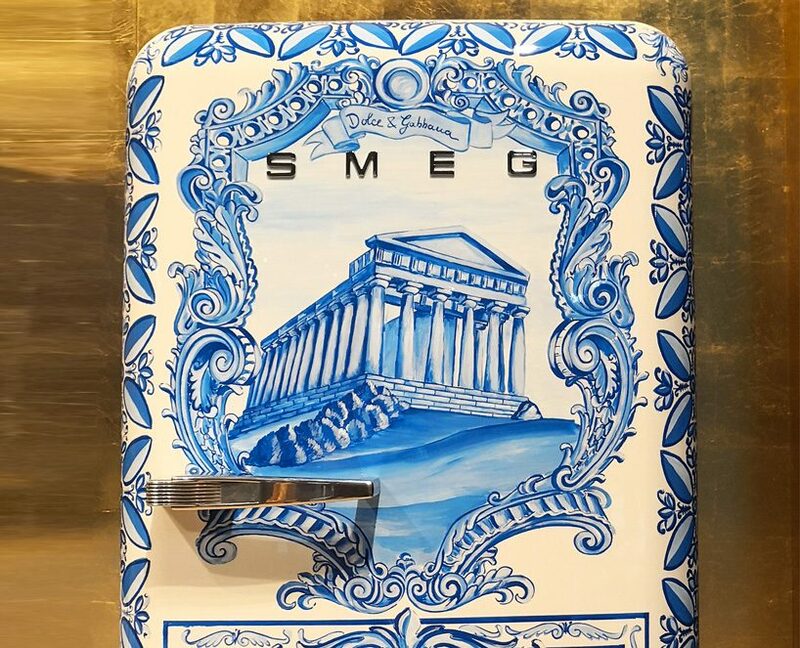 it has since grown to include toasters, coffee machines, fridges and blenders.